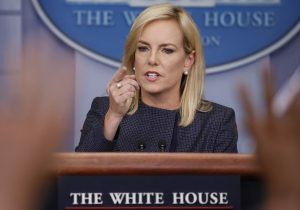 The order doesn't stipulate that the hundreds of children taken from their parents will be immediately reunited with them, and Homeland Security Secretary Kirstjen Nielsen tells lawmakers that family separations could resume if they fail to act. 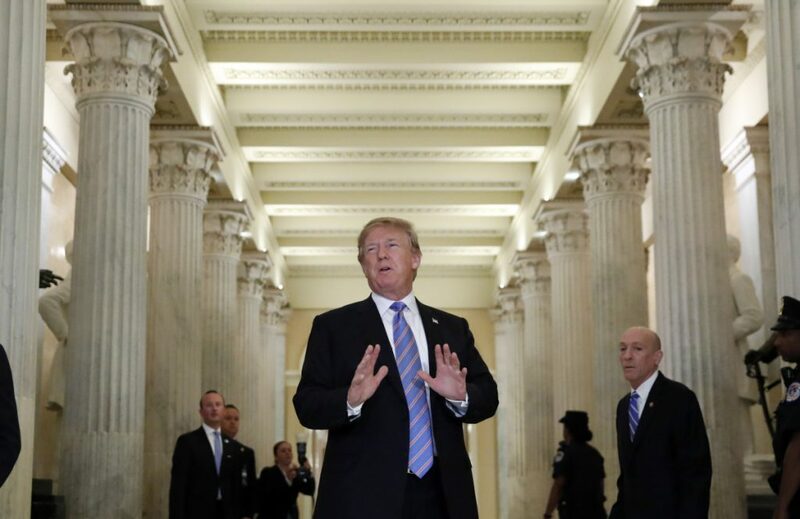 WASHINGTON – President Trump sought to stanch a public outcry over his administration’s “zero tolerance” immigration policy Wednesday, signing an executive order to end family separations at the U.S.-Mexico border after days of insisting he was legally unable to act. At the same time, a senior Justice Department official told reporters that the administration has little legal recourse but to release the families after 20 days unless a judge grants an exemption to a 1997 court settlement that limits the duration of child detentions. The executive order came after a day of frantic White House meetings as administration lawyers scrambled to produce a legally sound document to solve Trump’s political dilemma. Trump had begun to doubt his strategy, telling Republican lawmakers privately on Tuesday night that the images of the children were a “bad issue” for the Republicans. Early Wednesday, Trump surprised his aides by ordering them to write an executive order and saying he wanted to sign it before leaving for Minnesota, despite telling reporters Friday that such an order could not be done. Chief of Staff John Kelly and White House Counsel Donald McGahn pushed back, arguing that an executive order could not be written to comply with the legal limits on child detentions – an argument that Trump had championed publicly in recent days – prompting a debate among the president and his aides, according to officials with knowledge of the deliberations. The slapdash nature of the effort was apparent when the White House released an initial version of the executive order that misspelled the word “separation.” The episode left many aides puzzled over the administration’s strategy in the immigration fight. Homeland Security Secretary Kirstjen Nielsen, the president and other officials have repeatedly said the only way to end the practice of separating parents and children at the border is for Congress to pass new legislation. President Trump said early Wednesday that he planned to sign “something” pertaining to the separation of parents and children along the southern border. Trump’s executive order instructs DHS to keep families in custody “to the extent permitted by law and subject to the availability of appropriations” – language that points to the government’s deficit of detention space for parents with children.